For years of development in the textile industry, Dakine has been a true pioneer. Functional sports clothing is always the focus for our popular Hawaiian action sports brand. Dakine provides surfers and athletes with high-quality functional clothing and helps them to push their bodies to the limit. Our Dakine bike wear, Dakine snow wear and Dakine gloves will surely convince you with their complex material technologies. Providing the latest technologies and having many years of experience, Dakine equip you from top to bottom. A relaxed fit that brings function, fashion and a fantastic style. Dakine jerseys are falling slightly looser comparing to the All Mountain / Trail and Downhill fit. 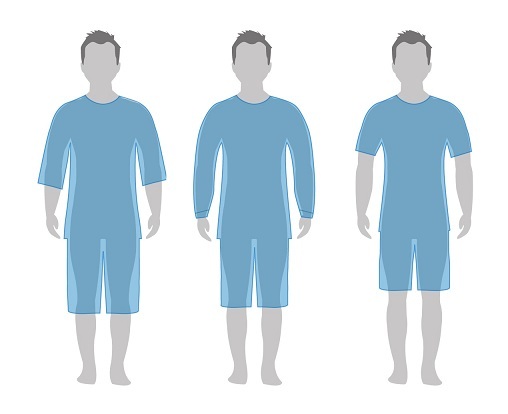 Jerseys come with three different sleeve lengths: long length, short length and ¾ length. Shorts have a leg length of 15 "or 16". 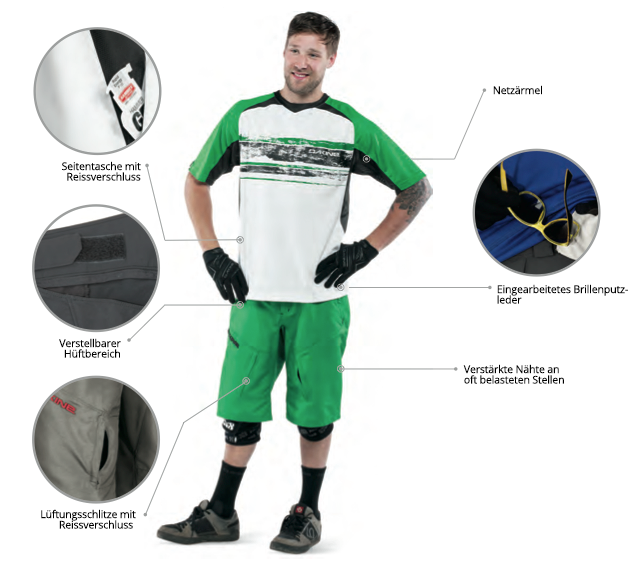 Designed to fit over knee protectors they perfectly fit for trail biking. Dakine downhill equipment with its slightly slimmer fit is specially designed for speed. Jerseys come with short and long sleeve length. We recommend to take one size larger for protectors to fit under the shirt. Shorts are specially designed to fit over knee pads with a leg length of 14.75”. All Mountain / Trail jerseys and shorts has been especially designed to meet the functional requirements of endurance sports. Shorts have a stride length of 13 "or 14" and provide additional improved airflow. Freeride fit offers a comfortable fit for enhanced freedom of movement and cycling performance for women. Dakine jerseys are falling slightly looser comparing to the All Mountain / Trail fit. 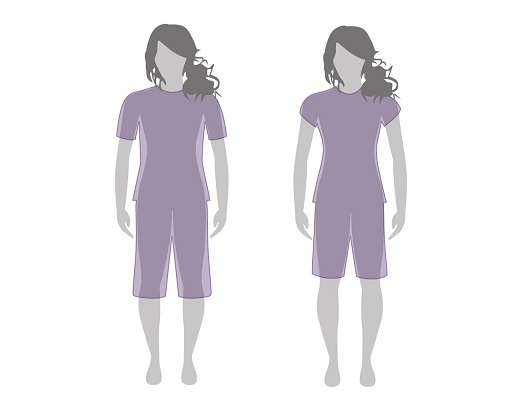 Jerseys come with two different sleeve lengths:short length and ¾ length. We recommend taking one size larger in order to wear protectors under the shirt. Shorts have a leg length of 14.5" and a raised waistband. These shorts are especially designed to fit over knee pads. All Mountain / Trail jerseys and shorts are comfortable and have a special feminine cut. They have been especially designed for women to meet the functional requirements on longer trails. Shorts have a leg length of 13" and provide additional improved airflow. 100% polyester material allowing perspiration to easily evaporate from the skin to ensure the body remains dry. Polyamide multi-panel construction with mesh inserts for added ventilation. The durable waffle knitting pattern rapidly pulls sweat through the fabric away from skin. All jerseys are treated with antimicrobial protection that fights the growth of odor causing bacteria to keep your bike jersey fresh. Because cycling pants are only as good as their seat pads, the Dakine bike pants from the Comp Liner series for men & women are equipped with the Dolomiti Pad. The Dolomiti Pads made in Italy are also called Chamois Pads because of the Chamois technology used. These seat cushions score enormously thanks to their highly elastic surface, which guarantees maximum adaptation to the body. The foam consists of several layers and is characterized by a unique breathability. The pads have a seamless construction that provides the ultimate in comfort, especially on medium-length tracks. The seat cushions are antibacterial treated to reduce the growth of bacteria and odors. The antibacterial Polygiene® technology prevents the proliferation of bacteria and fungi in the material. The treatment with Polygiene® can permanently neutralize or reduce unpleasant odors. This is done by using a small amount of Silversalzes. Inhibits the growth of odor causing bacteria and fungi. Guarantees an odor-free effect for the normal life of the product. Meets the highest standards of skin compatibility and hygiene. Certified in accordance with bluesign® and ÖKO-TEX® for consumer safety and environmental compatibility. Is used in clothing, boots & shoes, helmets, wetsuits, linings, padding, etc. Since Dakine outerwear, jersey and functional clothing do not need to be washed as often as this antibacterial treatment, Polygiene® Odor Control increases the longevity of the material. In addition, sensitive skin is protected from irritation and irritation. The functional clothing of Dakine claims to be both breathable and reliably watertight even in stressful situations. DK Dry™ is a waterproof polyurethane membrane, which is additionally equipped with the DWR® impregnation. Dakine overlays 2.5 layers of this waterproof yet breathable DK Dry™ membrane. This ensures that sweat and moisture evaporate quickly and efficiently, allowing rain and moisture to roll off the outside, leaving the interior pleasantly dry. Dakine protectors are characterized by their thin, lightweight material. All Dakine bike protectors are equipped with Impact Foam technology. This cushioning technology can cushion even heavy falls. 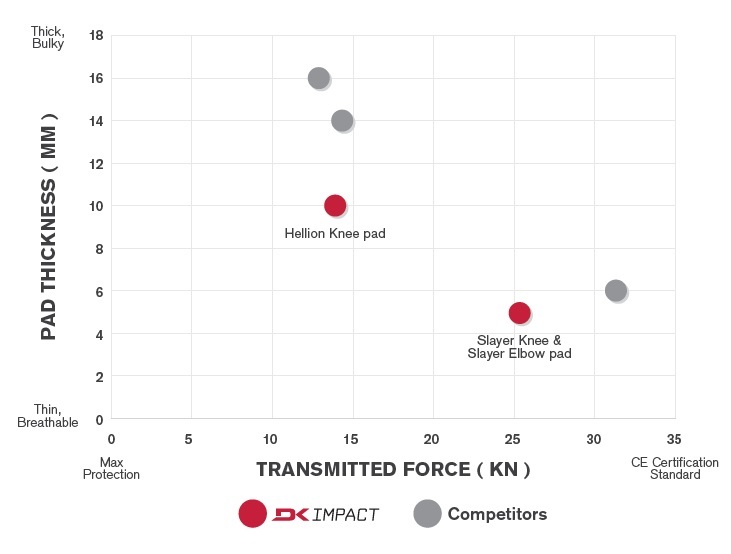 Both knee and elbow protectors by Dakine are equipped with a breathable mesh structure. In addition, recesses ensure that air can reach the skin and the protectors are worn comfortably throughout the day. 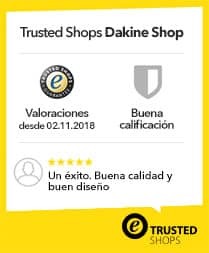 To protect your hands optimally from cold, wet and injured during wintertime, Dakine has a large selection of Dakine ski and snowboard gloves in its range. The sports gloves are anatomically cut, so Dakine clearly distinguishes between the men's and women's models. All come in a comfortable fit that offers great agility and comfort. Dakine snow gloves are very technical because of their  functional material technologies. These are depending on the sporty application area and temperature or weather. The finger position and the back of the hand are ergonomically pre-shaped and adapted to the natural relaxation position of the hand and fingers. Dakine Ski & Snowboard Gloves are made of functional materials that ensure optimum blood circulation into the fingertips. This is to provide pleasant warm hands even on very cold weather situations. Depending on temperature Dakine offers finger gloves and mittens having different kinds of thermal profiles. 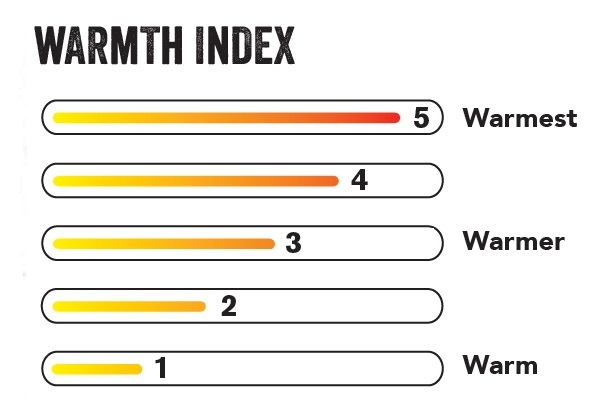 Using the heat index, you can compare how warm your gloves are. All gloves are marked on a scale from 1 (lower insulation, suitable for milder climate) to 5 (maximum heat). Please note: due to design Dakine Mittens are always warmer than finger gloves. Dakine offers touchscreen compatible winter gloves for cold condition. Thanks to this great technical feature annoying glove removal on the ski / snowboard slope is not necessary any more. 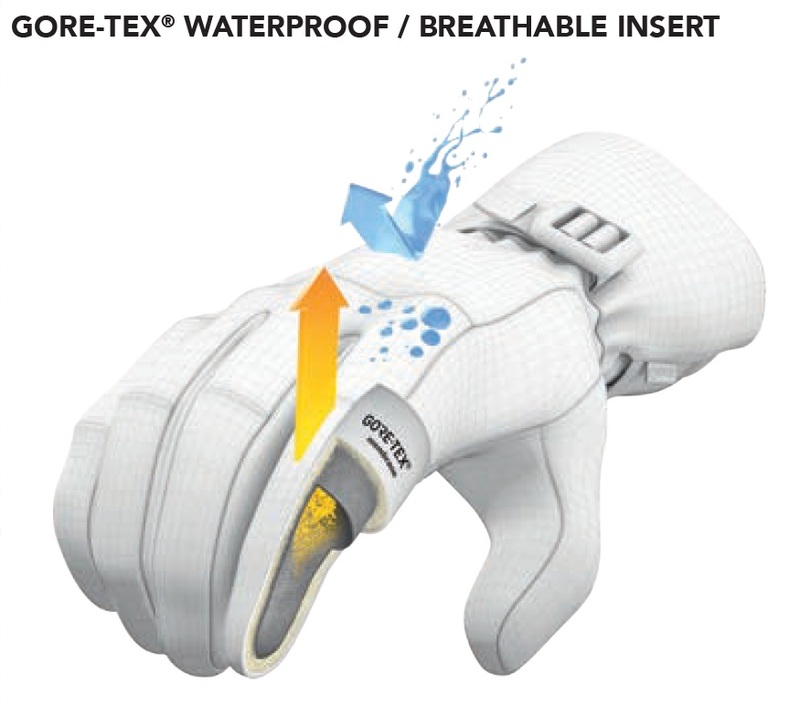 Dakine gloves are equipped either with a Gore-Tex® membrane or with a polyurethane / PU membrane. These membranes will either pull through the entire Dakine glove / mitten or only through the weather exposed areas. 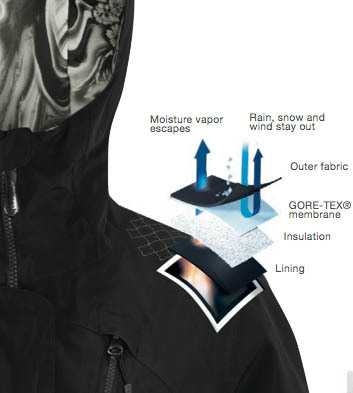 Gore-Tex® membranes (ePTFE membranes) are 100% waterproof and windproof. They prevent the penetration of moisture and are still considered to be pleasantly breathable. Not only does Gore-Tex® technology keep you 100% dry, it also prevents freezing by sweaty hands. 100% warmth and comfort guaranteed. 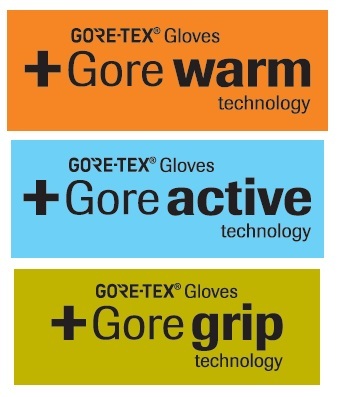 The Gore 2in1 technology by Gore-Tex® makes it possible for the Dakine ski / snowboard gloves and mittens to be pleasantly warm and still have a really good tactile grip on the ski pole. The good grip is made possible by an innovative 2-chamber construction, which allows a great balance between optimal weather protection and agility. Dakine gloves / mittens with the Gore warm Technology are equipped with Gore-Tex® inserts. The combination of a warm lining, waterproof and windproof Gore-Tex® membrane and a robust outer material keep your hands warm even in harsh conditions. Dakine ski and snowboard gloves with Gore-Tex® inserts and Gore active technology are designed for maximum breathability and reliable weather protection. They are suitable on wet and cold winter days for a sporty, very active use. Dakine gloves and mittens, which are equipped with this high-quality technology, offer a great grip and a high sensitivity even with thick gloves when skiing and snowboarding. These great features of the Gore-Tex® grip technology are achieved by a special layer structure, which allows a snug fit and a very high mobility. Even the grabbing of zippers is possible! The functional DK Dry™ technology prevents the ingress of moisture and at the same time dissipates perspiration and moisture to the outside. Polyurethane (PU) inserts increase the wearing comfort in the gloves on wet days. Dakine uses only controlled-down down and uses down and feathers from Allied®. The Allied thermal insulation consists of 100% high-quality down feathers from certified, traceable animal husbandry. 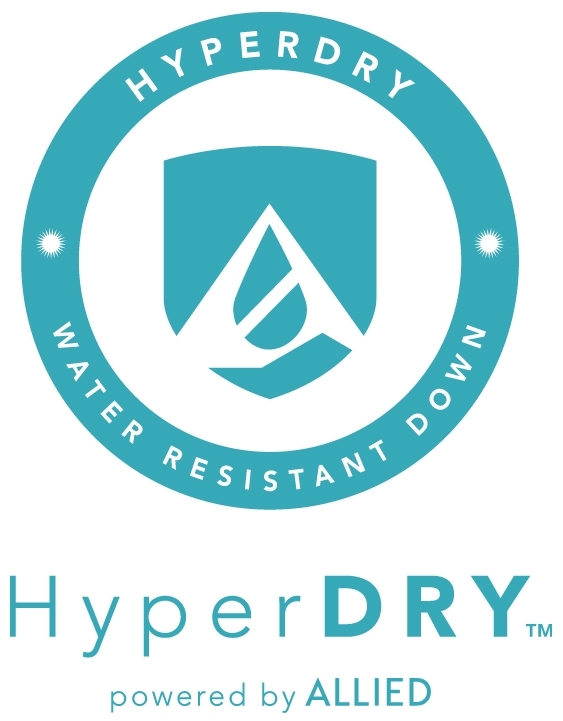 HyperDRY ™ Down is a lot more water-repellent than traditional, untreated down and they dry up to 4x faster. Primaloft® is a lightweight, breathable insulation with water-repellent properties. It is also often referred to as artificial down. The hands stay pleasantly warm, the material dries quickly and directs sweat outside. Primaloft® insulation can be packaged in a small package. Primaloft® Silver Insulation has many advantages. Millions of small air cushions store body heat even in extreme conditions and, by not applying, provide unrestricted freedom of movement during every activity. The patented treatment of PrimaLoft® guarantees optimal performance, as the thermal insulation works well even in wet weather. The insulation features long-lasting, light-weight performance for action-packed activities, easy packability, optimal breathability and a soft feel. No compromise on performance. When manufacturing Primaloft® Silver Insulation Eco, recycled material is used. This makes them the most powerful environmentally friendly insulation available on the market. PrimaLoft's moisture resistance experts have combined this technology based on 70% recycled fibers with a patented water-repellent treatment process. The result is immediate warmth without applying, for a comfortable fit even in wet weather. Highly compressible and as soft as goose down - a first-class and environmentally friendly way of thermal insulation. Primaloft® Gold insulation sets standards in terms of performance. It is perfect for intrepid adventurers who demand the highest levels of thermal insulation under extreme conditions. The most efficient synthetic insulation on the market today convinces thanks to microfibers with excellent heat storage capacity. Thanks to its water-repellent properties, it keeps its promise even in wet weather and reliably maintains 98% of body heat. In addition to these unbeatable thermal properties, the insulation material provides optimal breathability, easy-to-hold and exceptionally soft to wear - the pinnacle of insulation. Unlike Primaloft® Gold Insulation, Primaloft® Gold Insulation Eco is environmentally friendly. The padding consists of 55% recycled and 45% newly produced synthetic fibers. The Primaloft® Gold Insulation Eco Gripcontrol Technology™ is used on gloves whenever you need to rely on a secure and stable grip. Especially when skiing this insulation makes a great thermal performance. But it is also known for its reliable water-repellent and comfortable property. Eco means again that the padding consists of 90% recycled and 10% newly produced polyester fibers. Thinsulate™ insulation is a 3M-developed microfibre that is best known for its warm insulating performance. Depending on the material variant, Thinsulate Insulation is made of polyester or a mixture of polyester and polypropylene. The special feature of Thinsulate™ is that the material consists of particularly fine fibers compared to conventional polyester materials. These fabric structures store body heat and, in this case, keep hands warm. Another advantage: the Thinsulate™ insulation absorbs very little moisture. Dakine gloves stay light and keep your hands warm in wet snow conditions. Pittards Leather is treated on a fiber layer which is resistant to abrasion. The gloving line combines technologies with an unique leather treatment that provides excellent water resistance, outstanding durability and breathability for optimum comfort. Drum Dyed Leather is subjected to a unique dyeing process in which leather is immersed in dye and tumbled in a drum, allowing maximum penetration. The leather turns into a premium material for maximum comfort and durability. High Grip PU leather is a highly abrasion-resistant and comfortable outer material derived from a nylon substrate with polyurethane. The synthetic material stands for an excellent durability, grip and it is highly waterproof. Rubbertec is a polyester substrate which has been coated with a polymer-based high-grip coating. This turns the palm of the glove into an extra durable material for extended life. Synthetic suede material on the palm section provides excellent comfort and durability. Gloves and mittens made of this material have a kind mellow handle, combined with excellent abrasion resistance, adhesion and weather protection. Removable 280g 4x4 Stretch Fleece inner lining is an extremely breathable and fast-drying material. Fixed 400g Heavy Weight Teddy inner lining provides a maximum isolation and comfort. Fixed 360g Wool: Thanks to its natural properties the inner lining of the soft wool ensures excellent heat and moisture management. Festes 230g Mid Weight Fleece Inner lining provides excellent flexibility and comfort combined with a minimal weight. The Mid Fleece provides additional insulation. Fixed 150g Tricot:the least bulky of all liners, lightweight Tricot provides the ultimate in dexterity and moisture management. Dakine hardshell gloves and mittens with a hardshell surface are sturdy and mostly wind and water repellent. The robust surface is also equipped with a water-repellent impregnation. These are in most cases the DWR® (durable water repellent) technology. This coating must be renewed again and again to keep even after multiple washes light rain and snow. The DWR® impregnation rolls off water as well as dirt on the surface. The gloves can not so easily soak up with water and thus remain light and comfortable to wear. Dakine ski and snowboard gloves with 4-way stretch material are characterized by a great wearing comfort. The fibers are stretchable in all directions and adapt optimally to the movements during sports. Gore® Windstopper® products offer a great combination of excellent windproofness and breathability and gives you the freedom of being outside in all weather conditions. The ultra light and thin Windstopper® membrane adds total wind protection to the textile with keeping the best breathability. For a comfortable fit, functionality and comfort Dakine offers the right product for everyone! Providing the latest technologies and having many years of experience, Dakine equip you from top to bottom. Dakine’s traditional fit ensures, designed for comfort and maximum mobility. Jackets have a relaxed fitting body and ample room to layer. Pants feature a relaxed hip and tigh with a straight leg. Jackets available in longer lengths (+ 5cm) in selected styles. A slimmer fitting silhouette for a modern look, designed to move with you as you ride. Jackets have a trimmed chest, body and waist. Pants feature tapered thigh and knee. Jackets available in longer lengths (+ 5cm) in selected styles. The advanced wicking technology absorbs fluid from the skin 2.5 times faster than conventional quick-dry fabrics. Thanks to the 2-ply design, the moisture can evaporate outwards, while the inner material layer remains dry. 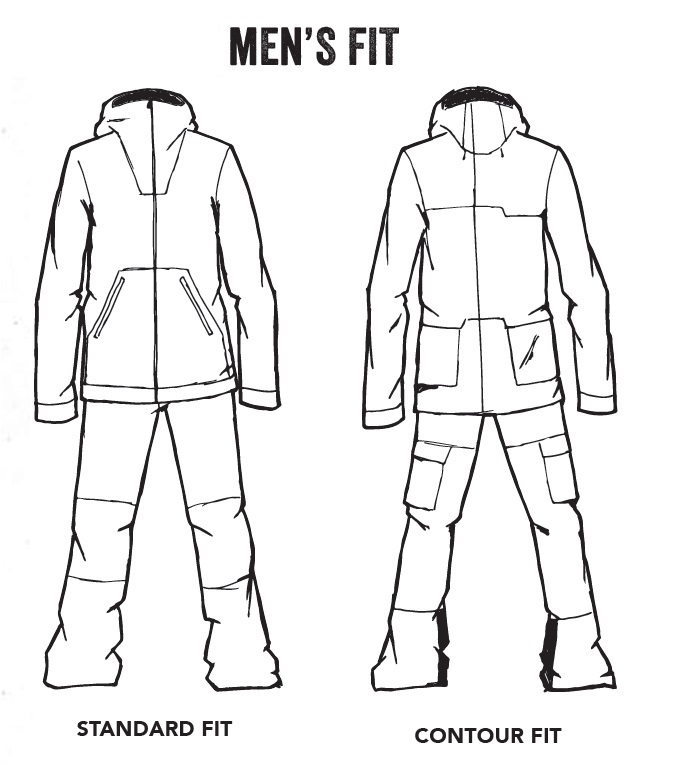 This way, you stay warm and dry during skiing and snowboarding. The CHANNEL FLOW LITE™ lightweight performance material is even 14% lighter than Channel Flow™. Products made of GORE-TEX® materials offer lasting waterproofness and windproofness while optimizing breathability - durable products with the highest level of protection and comfort. Garments made from GORE-TEX® fabric keep the body comfortably dry by transporting perspiration from the inside to the outside. The body stays dry - for lasting comfort before, during and after the activity. The extremely durable GORE-TEX® fabric is the most versatile garment solution for style, comfort and protection against the elements. 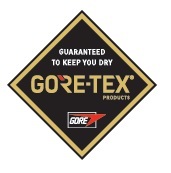 All GORE-TEX® products are backed by the GUARANTEED TO KEEP YOU DRY™ promise. Garments made with 3-layer GORE-TEX® Pro fabric are durably waterproof, windproof and extremely breathable. The fabric construction keeps your body dry by reducing the accumulation of sweat, so you remain cool during aerobic activities and warm during cool-down. 3-layer GORE-TEX® Pro fabric are engineered with added durability to withstand abrasion in rugged environments. Garments made with GORE-TEX® fabric are durably waterproof, windproof and highly breathable, providing reliable weather protection and maximum comfort for a wide range of activities. These garments keep your body dry by allowing perspiration vapor to escape so you remain cool during activity and warm during cool-down. The Dermizax membrane was developed by the Japanese company Toray. The polyurethane (PU) membrane is extremely waterproof, windproof and breathable. 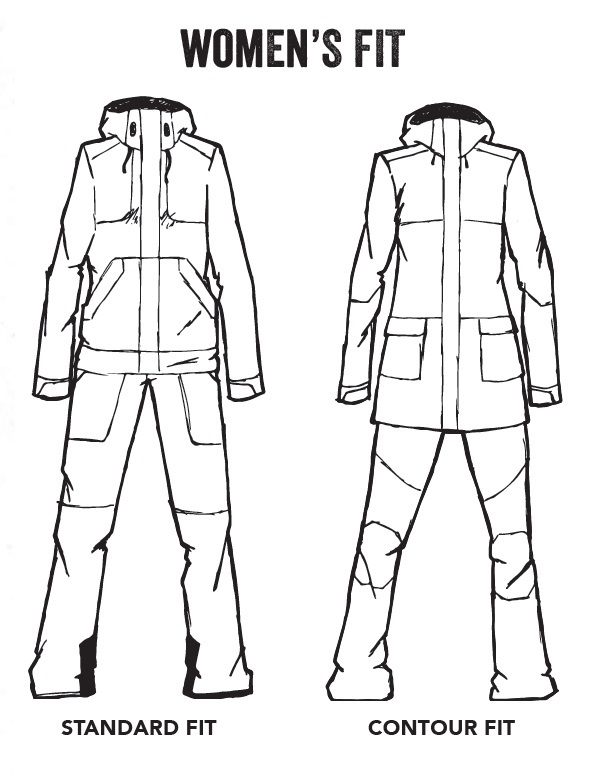 It has the distinct advantage over the competition (Gore-Tex® etc.) that it has no pores that can clog. This water- and windproof PU membrane works differently, because it consists of small molecules that love water and that transport the sweat outside during sports. This water-loving property is called "hydrophilic". The warmer it is in the jacket, the faster these molecules work - perfect for sweaty activities! 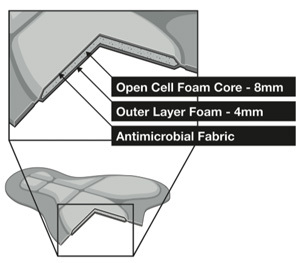 The membrane is available in five product variants - Dermizax, Dermizax EV, Dermizax NX, Dermizax DT and Dermizax 3D. Toray Dermizax®: Ultra-waterproof, windproof, ultra-thin, non-porous membrane, up to 200 percent stretch, fast, dynamic moisture wicking, soft, cuddly and elastic. Toray Dermizax EV®: Robust variant for demanding, stormy conditions with improved moisture transport. 200 percent stretchable. Toray Dermizax NX®: Particularly fast, dynamic moisture transport and high elasticity (200 percent) for maximum comfort. Wind and weather protection to the highest standard. The functional DK Dry™ technology prevents the ingress of moisture and at the same time dissipates perspiration and moisture to the outside. Polyurethane (PU) inserts increase wearing comfort in Dakine Outerwear on changeable days. The membrane is usually processed in 2 layers to increase the water density. 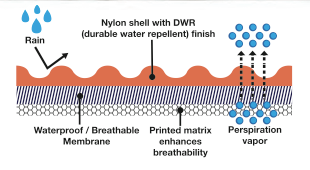 In addition, it is often combined with the water-repellent DWR® impregnation. The brand Cordura® produces a particularly robust nylon fabric, which stands for one thing above all else: longevity and optimum strength-to-weight ratio. In addition, Cordura® Nylon is known for its excellent abrasion, tear and wear resistance. 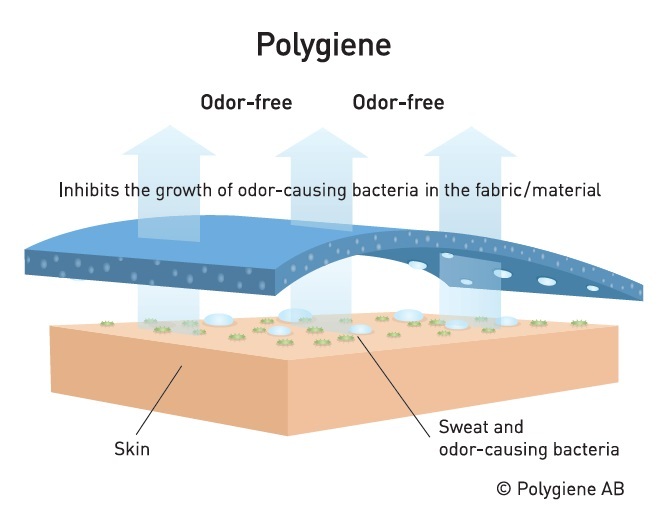 Polygiene® prevents the growth of odor-causing bacteria and fungi at the source, permanently. Used in clothing, shoes & boots, helmets, wetsuits, linings, padding, etc. In addition, the production of Dakine down jackets with this special filling will be cheaper! Is a wax-based impregnation. It works just as efficiently as the DWR® impregnation, but has the advantage that the natural wax material is not fluorine-containing. That's what makes Hyperdry ™ so valuable to our ecosystem. Polartec® is the expert when it comes to high quality fleece. Starting with the "normal" synthetic fibers, the Dakine outerwear and Dakine Polartec® functional clothing feature functional fabrics for a wide variety of applications. 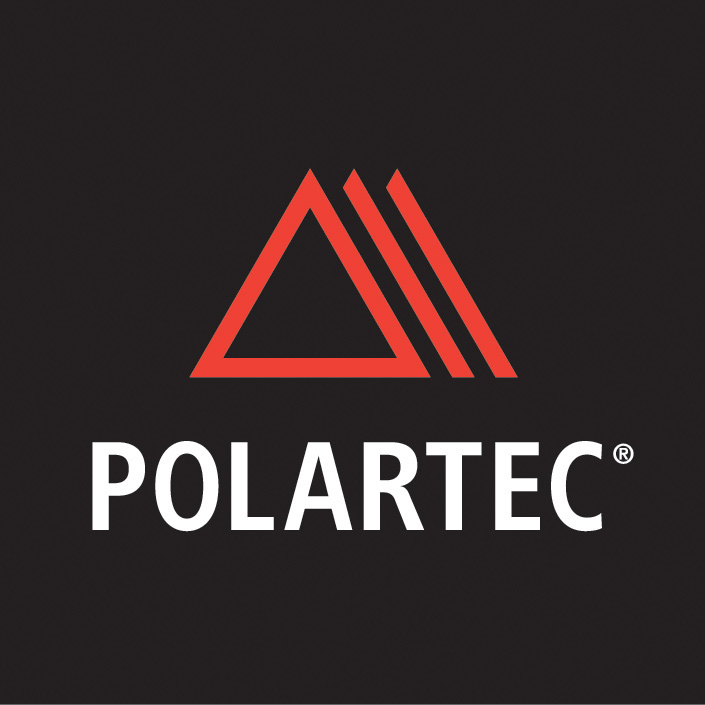 With Dakine and Polartec® you will find the right garment for every sport and every weather condition. For clothes that demand high elasticity, Dakine uses the Polartec® Power Stretch material. 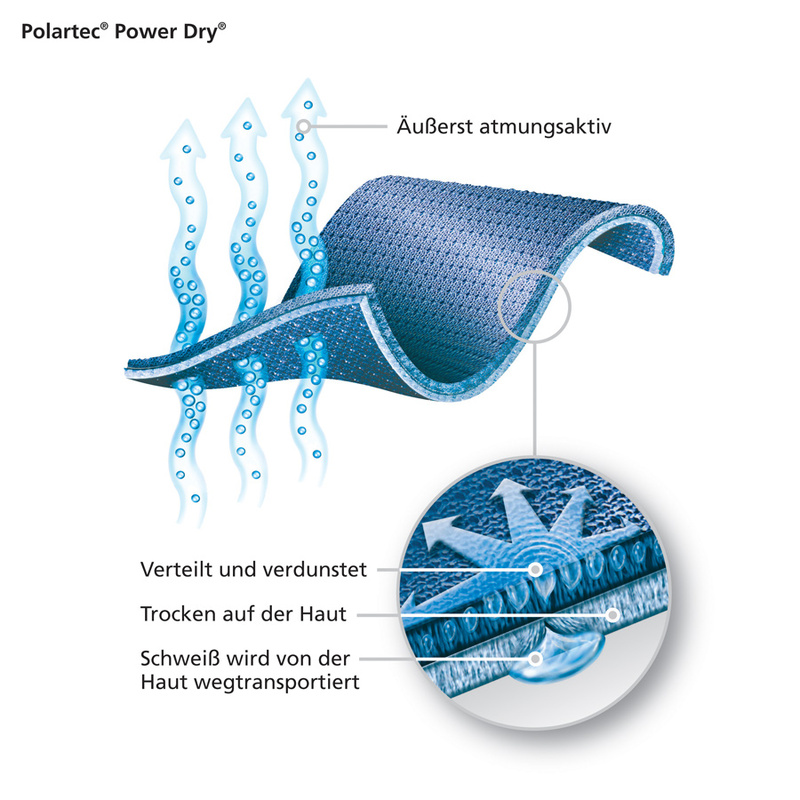 The Polartec® Power Dry technology is one of the so-called Next-To-Skin textiles, because these garments are worn directly on the skin. Dakine uses this material especially for jerseys, shirts, pants and underwear. This innovative material combines merino wool with synthetic fibers. This combines the advantages of both materials into one functional unit. The three-ply fabric is engineered to keep you dry and warm in the toughest conditions. The high-quality material is equipped with a Dermizax® EV coating. Dermizax® EV: Robust variant for demanding, stormy conditions with improved moisture transport. 200% stretchable. This lightweight 2-layer ripstop is a sturdy, weather-resistant fabric with a micro-check fabric and a sleek feel. The coating and processing provides excellent water repellency and respiratory activity. This lightweight Dobby fabric gives the texture to the jackets and pants of men's and women's collection. The finishing and the coating offer a high degree of water density and respiratory activity. The super fine and lightweight Oxford upper is used exclusively in our premium insulated jackets. The combined coating is designed for maximum heat in cold and dry conditions. This Oxford fabric has a PU membrane which provides excellent breathability and complete wind impermeability. The super fine plain fabric has a very soft feeling with a subtle shine. The fabric is extremely durable and has a high performance degree of water tightness and respiratory activity. A Heather fabric is the combination of different colored threads, which creates a multi-color and subtle effect but is pleasant to the eyes. This fabric gives the illusion of a structured look, while in fact a smooth surface and a high degree of waterproofing and respiratory activity exist. The High Performance 2-Layer Fine Twill Poly Microfiber features a brushed finish for a soft feel. It is supported by a jet micro coating to ensure excellent water tightness and breathability. The durable ripstop fabric has a unique look. Down testing allows maximum protection with a smooth appearance in cold and dry climates. The vertical shadow stripe offers a subtle texture giving it dimension as light reflects off its surface. The new, innovative fabric provides the fit, stretch, and comfort that a mid-layer garment needs. Down with mechanical stretch supports outstanding athletic performance. The new, innovative fabric provides the fit, stretch and comfort that a mid-layer garment must have. Down with mechanical stretch, it supports excellent athletic performance. Similar to the Coated Knit fabric, the Bonded Fleece provides extra warmth as a softshell garment. It looks like the traditional flannel, but this fabric is specially water repellent treated and lined with a quilted taffeta, it provides a high degree of weather protection. It is the perfect option for a light jacket. The softshell material provides hi-loft lining and excellent insulating properties without compromising respiratory activity.